Funny and adorable Saint Bernard decal! This vinyl sticker reads, “Crazy Saint Lady,” and has a cartoon of the Saint Bernard dog breed on the left. So cute! Tell the world how you feel about your gigantic slobbery pooch with this unique dog lover sticker. It’s a Saint thing. You wouldn’t understand. Funny Saint Bernard decal is perfect for the dog owner who tries and often fails to explain the little things about the breed that only an owner would know. Breed specific vinyl sticker is available in many dogs, with a silhouette on the upper right. Cute cartoon St. Bernard decal is perfect for the proud dog mom or dad to display on their vehicle! This unique dog lover vinyl sticker is a kawaii cartoon of the dog breed. Fun, trendy and looks wonderful on the rear window. Our cute St. Bernard sweatshirt is embroidered with a cartoon of this giant lovable dog breed on the left chest. Below reads, “I (heart) St Bernards.” Personalize this text using our personalization box on the right. Unique Saint Bernard apparel! Our cute St. Bernard t-shirt is embroidered with a cartoon of this giant lovable dog breed on the left chest. Below reads, “I (heart) St Bernards.” Personalize this text using our personalization box on the right. Unique Saint Bernard apparel! A cute saint bernard sticker has a silhouette of the dog breed with “St Bernards” and a heart circling it all. Adorable St. Bernard lover decal is offered in many colors! A giant heart holds a St Bernard silhouette as well as the breed name, and a paw print! Cute Saint Bernard vinyl decal to show the world your favorite dog breed. Brag all you want about your agility Saint Bernard – you’ve earned it! Our unique embroidered St Bernard sweatshirt reads, “My St. Bernard is an Agility Dog!” and has an a-frame and paw prints on it. Beautiful design is perfect for spreading the word about your favorite dog sport – and of course the best dog breed! Design is approximately 7″ wide. Brag all you want about your agility Saint Bernard – you’ve earned it! Our unique embroidered St Bernard t-shirt reads, “My St. Bernard is an Agility Dog!” and has an a-frame and paw prints on it. Beautiful design is perfect for spreading the word about your favorite dog sport – and of course the best dog breed! Design is approximately 7″ wide. Drive Safely – St Bernard On Board. Cool breed specific vinyl decal has a silhouette of the dog breed in the corner, with clearly visible text inside a rectangular box. A great way to alert other drivers to be cautious while you have precious cargo aboard! Decal measures approximately 5″ wide and 3.5″ tall. Beautiful paisley design incorporated into the dog silhouette of a Saint Bernard. This detailed design is very elegant and pretty for dog lovers to enjoy. Many more breeds are available. This vinyl sticker measures approximately 4″ wide and 3″ tall. These “Protected by a St. Bernard” decals are perfect for anyone wishing to warn away thieves and intruders – gag or not! Put them on your car, SUV, front door, or your other property. A silhouette of the St Bernard dog breed stands in the center of an oval, with the text around the outside. It could be a funny vinyl sticker to amuse guests and passersby, or it could be true! Do you sometimes feel like a Saint Bernard Taxi Service, driving to training classes, the vet, trials, and of course, those trips for ice cream? Well now you can clearly label your vehicle as a St. Bernard Taxi with our fun and unique dog lover decals. These vinyl stickers have a silhouette of your dog breed, along with diamond shapes and “TAXI SERVICE” written underneath. Available in a variety of colors, these funny decals are sure to be a hit! Vinyl Saint Bernard decal has a silhouette of the dog in the center, with the added twist of the breed’s name in the background. The dog breed name in its entirety is not quite visible because of the silhouette in the middle. Very cool. 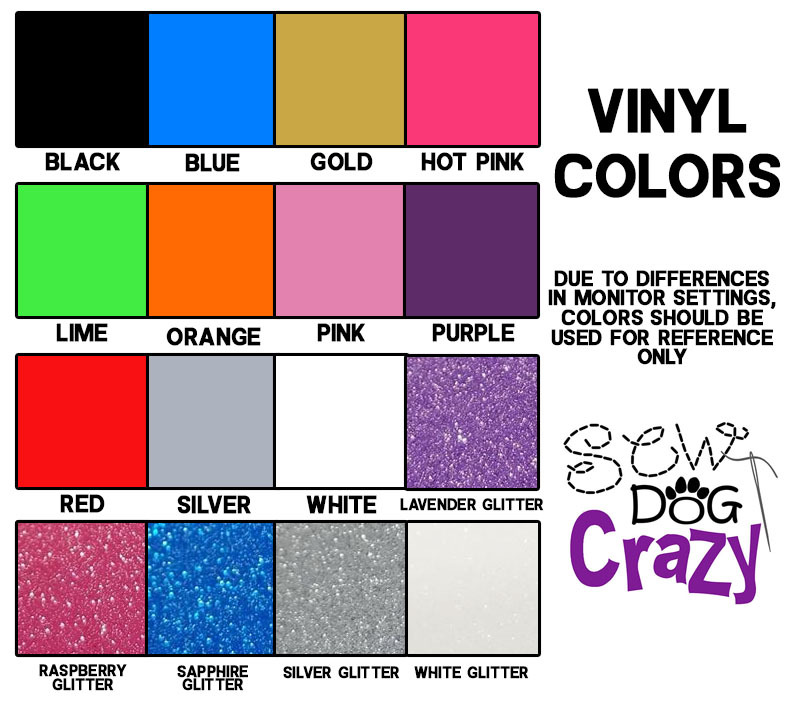 We have many other dog breeds available in this design. Decal measures approximately 5″ wide by 2″ tall. Very cool St. Bernard decal has a silhouette of the dog with an awesome spiraling effect in the background. The dog’s breed name is also on the vinyl sticker. Our Saint Bernard stickers look especially great on a car window in white vinyl. Decal measures approximately 5″ wide x 4.4″ tall.